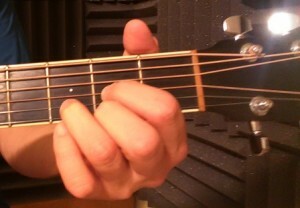 Learn to strum E, A, and D major. 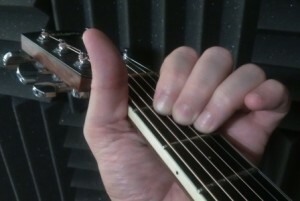 After spending a week working on the scale and chord exercises from the “Beginner Guitar Lesson 2” page, you should now be ready to try these chord exercises and scales. 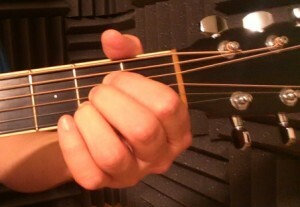 E, A, and D major require the use of 3 fingers, and are used in songs a lot. The song excerpt I’m playing in the beginning of this video lesson is “Stir It Up” by Bob Marley, which uses only those three chords. Some other songs that use those chords are “R.O.C.K In The U.S.A” by John Mellencamp, “What I Like About You” by the Romantics, and “Desire” by U2. These are the chords you’ll be using for the strumming exercises in the next lesson, so make sure you memorize them so you don’t have to keep looking at the chord diagrams or pictures to know what to play when you hear me say “play E major” in the audio file or video. I also go over the minor pentatonic scale in this lesson. Be sure to read page 11 in the book for more information on how to play this scale. 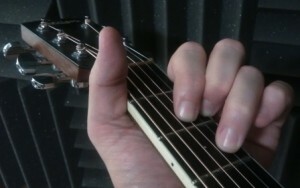 Pay close attention to what fingers you are supposed to use, as this will make it easier to play the scale faster. Each day when you practice, play along with this audio file. I play through the chord exercises on page 8 of the book eight times for each step. 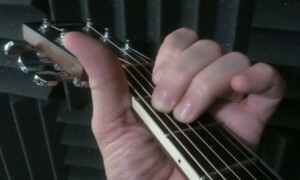 I also play the minor pentatonic scale on the fifth through ninth fret. There’s very little of me talking in this audio file, so if you play through it twice that will be a good 30 minutes of practice. 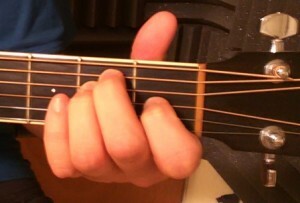 Below are pictures of each of the three chords from two different angles.